We’d love your help. Let us know what’s wrong with this preview of Counterpoint to Reality by Stephen John O'Connor. To ask other readers questions about Counterpoint to Reality, please sign up. What we are treated to in the book are a series of incidents, realizations and pointers experienced by Mr. O’Connor. These are interesting and well written in their own right and make the book an easy and fast read. 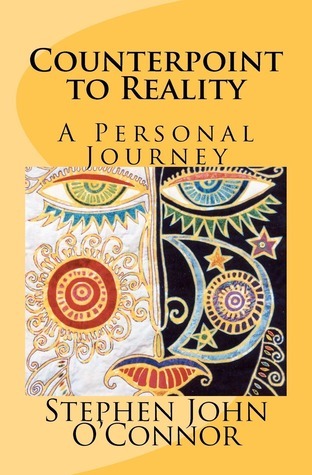 Through these snapshots and experiences, we are given some pointers in terms of how he sees reality. There is the ego ‘I’ and the Self. We can dream our way through life as the ego ‘I’, or wake up to the light and towards re-integration with the Self. This is the Path where everything experienced happens for a reason ‘urging us towards awakening’. Mr. O’Connor points the way forward and it is by quieting the chatter of the mind, listening to the Higher Self and following the Path of no paths. For Mr. O’Connor, each of us has set out our course before we were born and now have to awaken to it again. Unless we do as a species in general, he sees dire longer-term consequences for the Earth. I really enjoyed this book. It is well written and thought-through and the experiences and situations it describes are fascinating. Although pointing to the way, he does not specify anything beyond looking for the signs, the synchronicities in life and stilling the mind via quiet contemplation or meditation. Beyond that, each of us has mapped our own course. By attempting to show us his, Mr. O’Connor has provided a personal example of the way.